Instant Pot Honey Garlic Chicken - moist, tender, fall-off-the-bone instant pot chicken in a savory and sweet honey garlic sauce. This recipe is so easy and delicious! Honey Garlic Chicken – moist, tender, fall-off-the-bone chicken thighs made in an Instant Pot, so delicious! The honey garlic sauce is perfect for this Instant pot chicken recipe. Honey Garlic Chicken is a popular chicken dinner recipe. 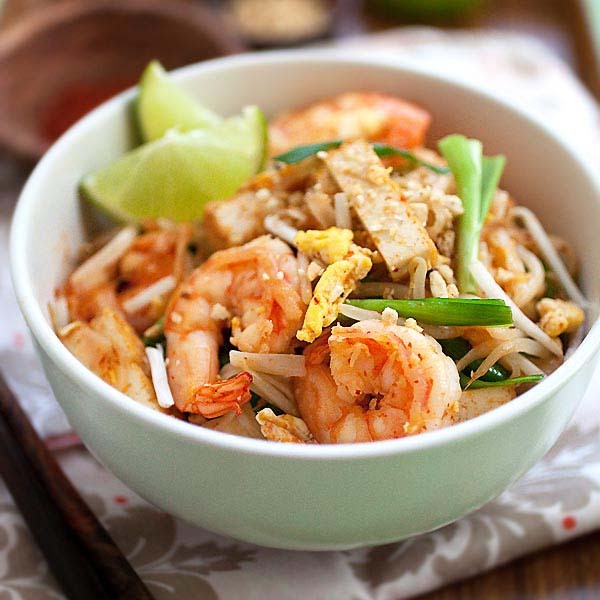 The combination of honey, garlic and soy sauce always guarantees mouthwatering results. 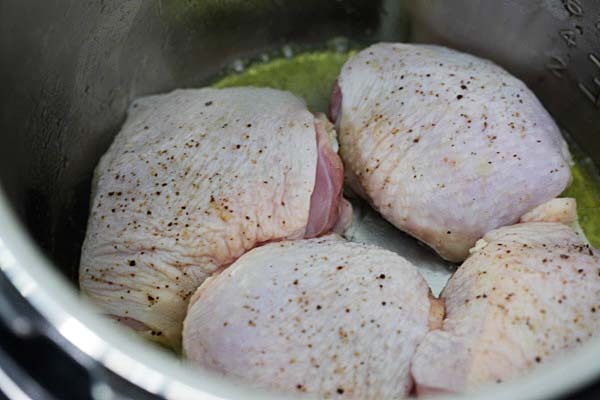 What’s more, making this recipe in an Instant Pot means that the chicken will be pressure cooked to tender, juicy, moist perfection, and the meat will fall off the bones. What I love about Instant Pot is the Saute mode. It allows me to pan-sear the chicken thighs first so both sides of the chicken are nicely browned, then I can add in the honey garlic sauce and flash cook the chicken for 10 minutes with high pressure. If you don’t have an Instant Pot, you can make this honey garlic chicken in a slow cooker, or on your stove top. If you use a slow cooker, make sure not to overcook it. Use high heat and cook for 3 hours. For stove top, just pan-fry the chicken and then add in the sauce. Simmer on low heat and cook until the chicken meat is tender. Regardless of your utensil, this honey garlic chicken recipe is a winner. 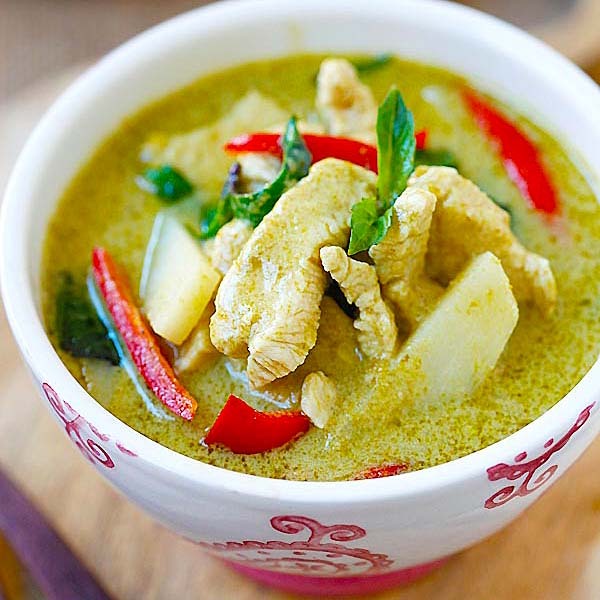 Serve with steamed rice or pasta, spoon the sauce over your rice or pasta and dig in. 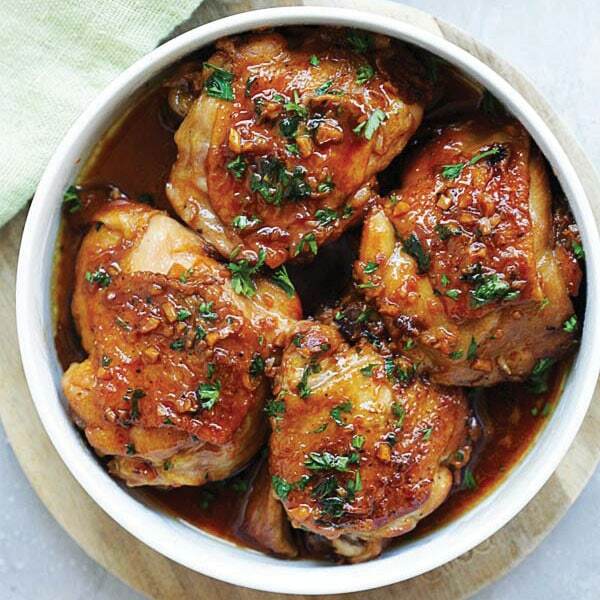 The chicken thighs are so good you will want to make thie recipe again and again. This meal is best served with rice or pasta. For a wholesome meal and easy weeknight dinner, I recommend the following recipes. Want an Instant Pot, I am giving away one for FREE so enter to win now. Honey Garlic Chicken - moist, tender, fall-off-the-bone chicken thighs in savory and sweet honey garlic sauce and made in an Instant Pot, so delicious. 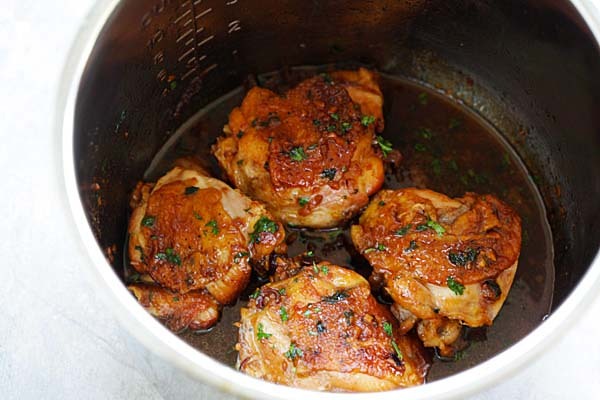 Wash and rinse the chicken thighs with cold water. Pat dry with paper towels. Season the chicken thighs with salt and pepper. Set aside. Mix all the ingredients in the Sauce together, stir to mix well. Make sure the honey and sugar are completely dissolved. Set aside. Turn on the Saute mode on your Instant Pot. As soon as the pot is heated, add 1/2 tablespoon of the cooking oil. Pan sear the chicken thighs (skin side down first) until both sides turn nicely brown. Add the remaining cooking oil and saute the garlic a little bit. Pour in the sauce and cover the lid. Cover the pot and select Manual and set to High pressure for 10 minutes. When it beeps, turn to Quick Release. When the valve drops, remove the lid carefully, add the chopped parsley and serve immediately. I used a 6-quart Instant Pot. The Sauce in the recipe equals to 8 tablespoons of liquid content, which is 1/2 cup, the min amount of liquid for Instant Pot. If you don't have an Instant Pot, you can make this honey garlic chicken in a slow cooker, or on your stove top. If you use a slow cooker, make sure not to overcook it. Use high heat and cook for 3 hours. For stove top, just pan-fry the chicken and then add in the Sauce. Simmer on low heat and cook until the chicken meat is tender. I thought you always have to use a minimum of 1/2 cup water to reach pressure? Hi Susan, my friend taught me how to use Instant Pot with the Manual setting to High and set the time. I had no problem with this recipe and the pictures are exactly how they came out. If you look at the picture inside the IP, it has a lot of sauce as the chicken releases liquid into the sauce after cooking. If you have doubt, you might use the PIP method. Otherwise please add 3 tablespoons water/chicken broth to the Sauce and you will have 1/2 cup liquid. With the soy sauce, honey and water, there is 1/2 cup liquid in the recipe even before the juices are released from the chicken. I see pictures and what goes into it , but I don’t see where it says how much of each ingredient I will need. As a 40 year professional cook I do need the how much of each ingredient. Tap the wide red bar that says GET RECIPE. 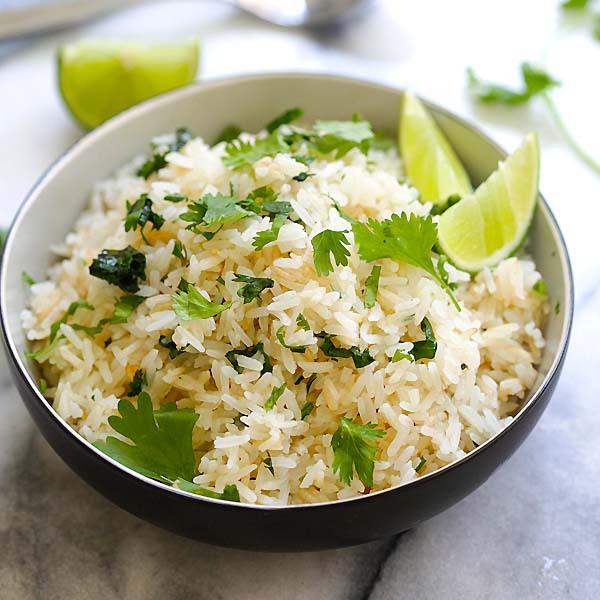 I was loose with the amounts of honey, soy sauce, garlic and fats I used and it turned out great, remember that the Instant Pot needs a minimum of 1/2 cup of liquid in the bottom – easily accomplish with this tecipe. Can you do this with just a regular pressure cooker? I have an electric pressure cooker. Yes. An IP is a brand of pressure cooker. Think iPhone vs Andriod. They do the same thing but are branded differently. ? 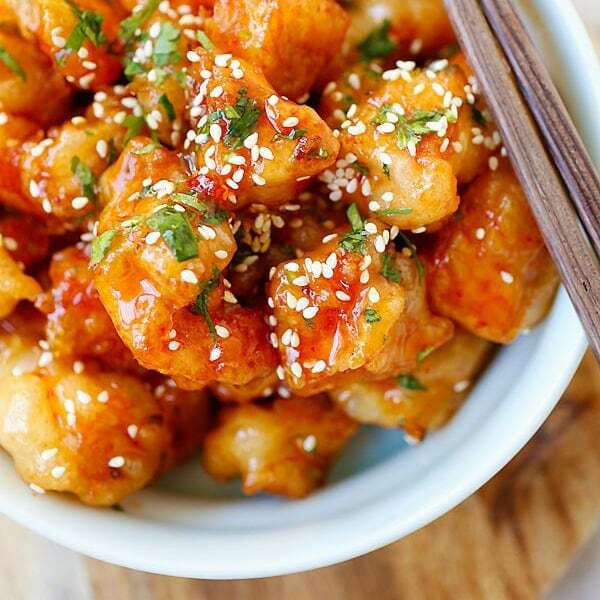 This Honey Garlic Chicken looks so delicious! I don’t have an Insta Pot, but I will make it in the oven! Thanks for sharing the recipe, Rasa! I made this a few days ago in my crock pot. Its so good! Great flavor!! My new fav dish to make! Awesome, thanks for trying my honey garlic chicken recipe. Can you list your carbs please. My husband is diabetic. The nutritional label is on the post it has all the details. Since it has honey as a main ingredient, probably not a good idea for a diabetic. Type 1 diabetics are not restricted in what they are able to eat. Even Type 2 diabetics are all individuals with individual medical needs and it’s very presumptuous of you to tell someone else what they should or should not eat. Can you double this recipe. I can’t imagine how this is 827 calories. I think something is off there…. Sorry it was miscalculated by the website, I have updated the nutrition label. Would LOVE more Instant Pot recipes and/or adaptations of your other great recipes! Awesome, yes I will adapt more recipes for Instant Pot. Thanks Bee – I’d ALSO LOVE more Instant Pot recipes and adaptations !! Hi Mark, sounds good, I will do that! If I am using a slow cooker, do I still need to pan fry the thighs on stove top? Thks. Made this last night DELICIOUS – but I switched the parsley to cilantro because it seemed like a better fit for this. It was, imo. I also added some Shichimi Togarashi (Japanese hot pepper) which gave it a little zing. This one’s a keeper! Can I use a whole chicken for this recipe in the unwrap it? Have a whole chicken & would like to cook it in the unwrap it. I think you can use a while chicken, cut up into pieces instead of whole chicken. 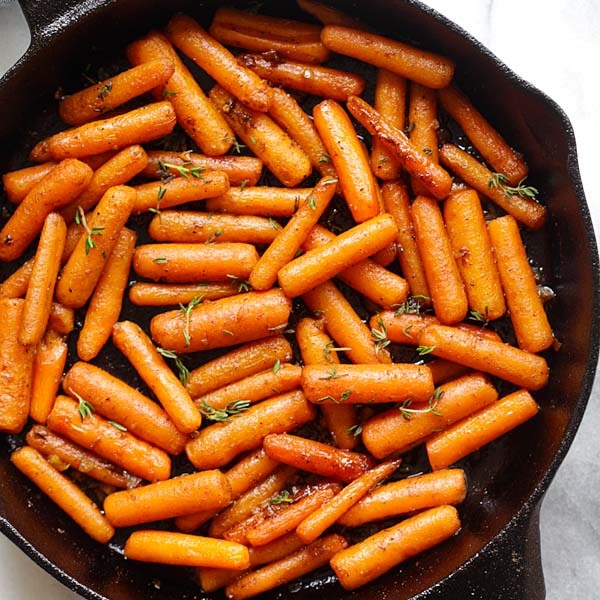 Hi there………..I wanted to triple this recipe and the biggest container I had to do so was an electric skillet. chicken browned beautifully but now wondering at what temp I should cook it and for how long. I cannot find the recipe booklet that came along with the skillet. :o( Will keep looking in case you can’t get back in time. Thanks so much! Sounds wonderful! Medium heat on stove top and cook and simmer until the chicken is tender. Add more water if the sauce dries up. Made this the other night, maybe 4 days ago…making it again now! This is SO GOOD, if you are reading this comment make it NOW!!!! So good!!!!! Even my husband (leery of chicken thighs) was asking, is there any more of that chicken? HA! It’s so good and, easy, hello!!?!?! Make it!!! Hi Denise, awww, thanks for the rave review. I am so happy that you love this Honey Garlic Chicken recipe! YUM. SO much flavor right here- definitely need to try! I can almost smell it already! Hi Karly, thanks for your comment. Can the recipe be adapted to use boneless skinless chicken thighs? I am new to using an Instant Pot. Yes of course, you can use boneless chicken thighs. 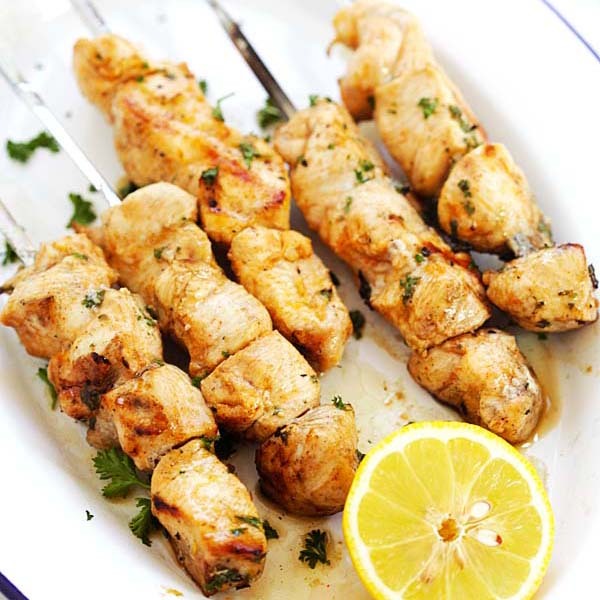 Can the recipe be adapted to use boneless skinless chicken thighs? ! This sounds great! How would I have to adjust it for an 8 quart IP? I think you can double the recipe and the sauce. Made this last night and served it with steamed greens. I thickened the sauce a little with some corn flour. Nice and easy and the thighs were cooked perfectly! Thank you. Good idea about the corn starch, glad that you made my honey garlic chicken. Can i use boneless skinless chicken thighs?? Yes you can just use a couple more. When it says 14 grams of sugar, is that each or all 4? I made this in my Instant Pot and the sauce is very good. However, I used skinless thighs and did add oil to the pot to saute. They stuck like crazy even when I left them for a bit before turning. Once it cooked, it came loose and was good. but didn’t look like your pics! These look delicious but my picky eater won’t eat thighs. Ho long would the cook time be with boneless chicken breasts? The sauce was awesome, it was my first instant pot meal and I made the carrots recommended from Kalyn’s website. Next time I won’t bother with chicken with bone and skin, just use skinless, the skin was a little rubbery. Awesome flavor! Will make it again. Hi Erika, awesome, thanks for trying this Instant Pot Honey Garlic Chicken. This was my first IP meal and it was delicious. Even my 9 year old said it was AH-MAZING. High compliments indeed! I added some cornstarch at the end to thicken the sauce and served with mashed potatoes. So good! Hi Ashley, I am so happy you liked this Honey Garlic Chicken recipe. I made this tonight and the flavor was amazing! My only issue, and it always seems to happen with all my instant pot meals, is that my sauce didn’t really thicken? How do I get it thicker? After the chicken is cooked remove it from the IP, then turn the IP on to the saute setting and let the sauce simmer/boil for a few minutes. Much of the liquid will evaporate and you’ll be left with a delicious, more concentrated sauce or glaze. Hi Adrienne, correct. Saute mode is awesome to thicken up the sauce! Just increase the cook time by 50%. Yes it would but you probably want to cook for maybe 8 minutes. Can I adapt this to chicken legs ? Yes you can and just cook for 8 minutes. If I use a mixture of chicken thights and legs and use more like 10 pieces total, how long do I need to cook in the instant pot for? I’m new to Instant Pot cooking and am looking forward to making this recipe. I would like to add broccoli to the dish; when would be the best time to do this? I would add Broccoli after pressure cooking, using Saute mode or they would be too mushy. You can try 15 minutes. That’s awesome, so happy that you love this Instant Pot honey garlic chicken recipe. This was EXCELLENT!! We had my sister over for dinner the other night. She does not have a pressure cooker, so I had everything ready and measured out for when she got here. So she and I basically put the meal together and it was so D.E.L.I.S.H.!!! She was amazed about the pressure cooker and the tasty recipe. I also used my rice cooker for a side of rice. And took the advise of another comment here, and made baked small red potatoes tossed in olive oil and salt/pepper. I was at an Asian grocery store and purchased fresh made egg rolls and mung bean coconut cake. The 3 of us agree that this recipe is definitely a keeper. Thank you for sharing. Made this today, but used boneless chicken breasts, doubled the sauce (except for the garlic and cayenne) and added baby carrots. I also thickened the sauce with a tablespoon of corn starch and water. Served over white rice. It was delish. Will definitely make this again soon. Thanks for sharing. I have an Insta Pot 6 qt IP Lux, and the safety tips specifically say to never use less than 18 oz. of liquid when pressure cooking. How is everyone making this with 4 oz. of liquid? If you look it up on Google, there are different claims about the minimum liquid. One article said that Instant Pot said 1 cup, then their technical person revised down to 1/2 cup as we are not cooking soups all the time and for this chicken, you don’t want it to be too watery. Then someone said that Instant revised it to 1 cup again for all models. I have made this many times and with no problem. It pressurize well and the chicken is great. You can double the sauce and then reduce it down with saute. This recipe is outstanding. I’ve already made it a few times. Here’s a potentially stupid question, but I’m new to pressure cooking, so please forgive me. If I want to double the recipe to serve more people, how do I accommodate more chicken in the IP? 1.5 lbs of thighs basically covers the bottom of the pan. Should I just stack the additional chicken on top? Put them on a rack? Double the sauce? Additional cooking time? Thanks! Awesome, thanks! But keep the 10 minutes of pressure cooking time the same? You can cook for 15 minutes? So you don’t Brown them if you double the recipe? Has anyone tried this with frozen chicken breasts? Just wondering if that would work. If you use frozen chicken breast, just cook for 15 minutes. Has anyone tried this PIP with rice at the same time? This is amazing!!! Even my 8 year old step daughter liked it! Yay, thanks for trying this Intant Pot Honey Garlic Chicken. After you cook the chicken in the IP, with the source, can you freeze it and eat save it for later? I made this chicken dish last night…it came perfect and was delicious!!! Thank you for sharing. What am I doing wrong? All of my chicken recipes end up plain because the sauce just falls off. This is my favorite thing that I’ve made in the Instant Pot yet. Thank you! Aww, thanks for trying this Instant Pot Honey Garlic Chicken. We tried this tonight. Our first time using our IP. Very tasty and easy. I have the 6 QT 7 in 1, instant Pot and I found the 10 minute cook time a little too long. I will try 8 minutes instead of 10. We found the chicken a little overdone. I never know how long to sauté the chicken. Mine always sticks and rips the skin off. You can do it on stove top and then transfer to Instant Pot. Hello! I am new to IP. I got the 8QT IP for Christmas. I just made this last night and I have to say that it was a WINNER! The only thing that got confusing was on the recipe card some of the buttons you name are different on my IP. So that made it a little confusing. Also can I use frozen chicken? If so how much longer should I cook for? Last thing! I followed the recipe and I didn’t notice until later that your recipe was for a 6Qt IP. 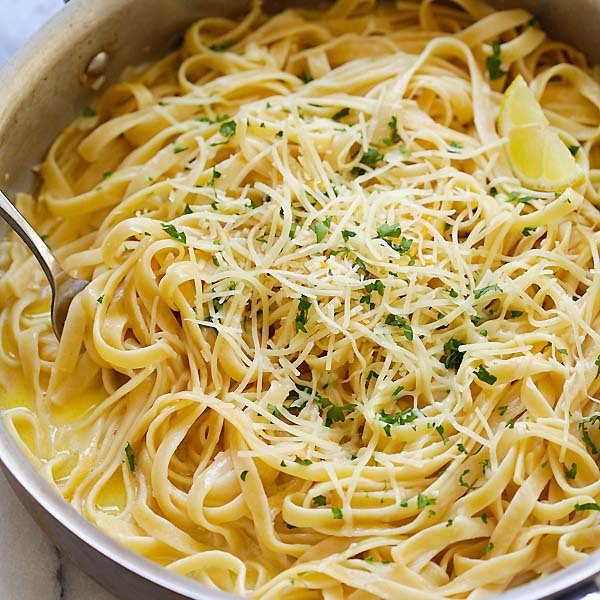 When I make this next should I double the sauce ingredients? Super nervous about using my 8Qt Instant Pot for the first time. Saw this recipe on FB and had all the ingredients on hand so decided to go for it. I doubled the sauce (nervous about using the right amount of liquid in the 8 QT) and only made 4 small thighs. I did have to saute the sauce for quite a while to get it to a good consistency to serve over the chicken. It was a major hit with my husband who wanted to know why I didnt make “more” and with my picky 8yo who never tries anything new but asked if I was going to eat all my chicken after she finished eating hers. Thank you for an easy and great tasting recipe – it helped this instant pot rookie take the plunge and get a win under my belt! This looks amazing! I am having 12 people over so may need to do this in two batches. If I make both in the IP and then put in the oven covered to keep warm, what temp do you suggest and for how long? I am making several dishes so really need some make-ahead ones. Thanks!! I would just microwave to warm up. Or just keep in the IP and use saute function to warm up. I think so, I am not sure I don’t have it. I made this with 5 skinless chicken breasts and doubled the sauce. Cooked on high for 10 minutes. The flavor was great, snd the breasts were very 00teber. I’m chopped up 2 of the breasts to use in pancit. I am now thickening the sauce to pour over the other 3 breasts. 2 dinners with one recipe. Thank you. Thanks for trying this instant pot honey garlic chicken recipe! Thanks for the recipe! I’m relatively new to the IP world; can you tell me if I use high pressure and the “More” setting? As opposed to the “Less” or “Normal” settings? I am not sure about your IP but on mine, it’s Manual and you set it to high and set the minutes. My family and I loved this recipe! So tasty and the chicken came out super tender. Thank you for sharing! Thanks for trying this instant pot chicken recipe. I don’t have any soy sauce. Can I use something else or just skip it? Thanks! You can use salt but it won’t taste as good.